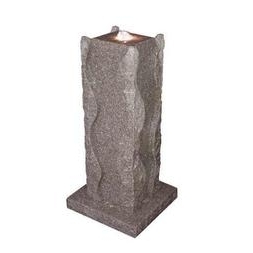 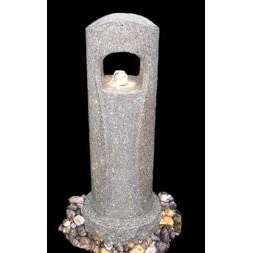 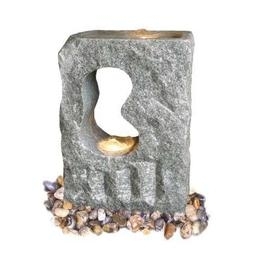 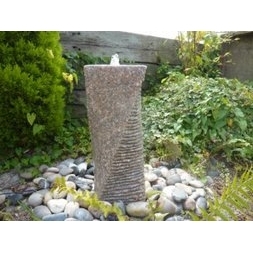 A comprehensive range of natural stone water features which includes Granite, Marble, Limestone, Basalt and Sandstone Most are highly durable water features however when carved from solid granite they will withstand exposure to the elements and last a life time. 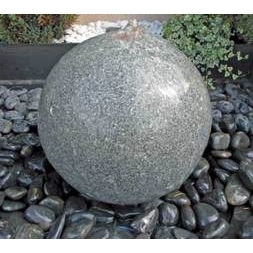 Available in a range of modern and traditional designs ,many of them have a combination of polished and ridged surfaces to maximise the effect and sound of running water. 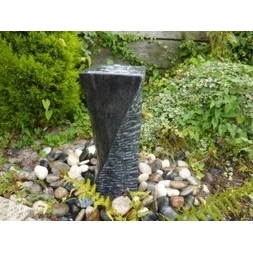 Some of them also incorporate stainless steel elements and underwater lamps to create a truly stunning night time effect. 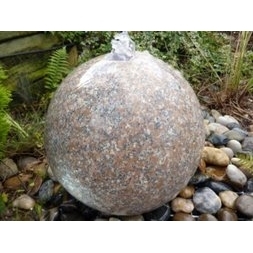 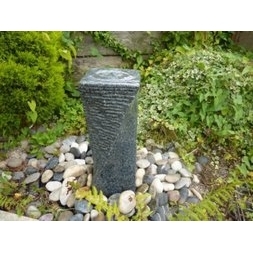 Most of them are suitable for use on a pebble pool base, which can be sunken into the ground and covered with coloured stones or shale, many therefore make excellent disappearing fountains,you may chose an optional base with each feature or make your own arrangements if you wish to use the feature as a centre piece in a garden pond for example.